To gain access to or to establish a connection with an on-premises, standalone database or Oracle® E-business Suite (EBS) database from the Oracle Integration Cloud Service, you need to install the Oracle Integration Cloud Service connectivity agent on your on-premises host. The Oracle Integration Cloud Service agent installs a WebLogic server with only the AdminServer component. Oracle Enterprise Linux® (OEL) version 6 or 7. 8 GB of free memory on the host with a 4 GB Java heap size. If the heap size increases, you need more memory. A fully-qualified domain name entry in /etc/hosts. A mount point with 20 GB of free space. A user name with the database administrator (DBA) group. You must install Oracle JDK version 1.7 or 1.8 to install and use the connectivity agent. Other JDKs are not supported. Open port 443 on the on-premises host to enable connectivity between the on-premises host (where agent will be installed) and the Oracle Integration Cloud Service. Use the following steps to download the required software components. Enter https://cloud.oracle.com/OIC in your browser. Click Sign In and follow the prompts to sign in with your cloud user name and password. Click Download and then click Connectivity Agent. Move the downloaded installation software to your on-premises host server.The software size should be around 2GB. Sign in on https://cloud.oracle.com/OIC with your cloud administrator login ID and password, and create an agent group by clicking the Agent Icon. Agent group name: This name is used when you install the connectivity agent on the on-premises host. Identifier: You can use the same name as the agent group name or give any name to identify this group. Description: Give a description of the agent. Download the Oracle Java JDK 1.7 or 1.8 from Oracle. In this blog post, the installation used the 64-bit version Java as the Linux version. Note: Move the downloaded Java to the on-premises host where you want to install the connectivity agent and extract it. Make sure the installation software that you previously downloaded is already moved to your on-premises host server. Use the following steps to install the connectivity agent in /u01/app/OICS in the on-premises Linux host. Before installing the agent, verify that the Oracle Integrated Cloud Service URL can be accessed from the on-premises server. If it is inaccessible, the connectivity agent installation fails. Use the following command, which downloads a small file, to verify that Oracle Integration Cloud Service URL is accessible. If the download succeeds, the URL is accessible. To install the on-premises connectivity agent, extract the connectivity agent software. Copy cloud-connectivity-agent-installer.bsx to a location where you want to install the connectivity agent, such as /u2/app/OICS/Agent in this example. -h (Required): The Oracle Integration Cloud Service hostname and port. -u (Required): The username of the Oracle Integration Cloud Service with which the agent connects. -p (Required): The password of Oracle Integration Cloud Service. -ad (Required): The agent group name that you created previously. -au (optional): The WebLogic administrator username, if you don’t want WebLogic as a user. You should give the username as WebLogic only. -ap (optional): The password of the WebLogic user provided in the -ad parameter. Open the console by using the username weblogic and the password given during the installation in the -ap parameter. The WebLogic console should show AdminServer in RUNNING status. Use the following steps to import the Oracle Integration Cloud Service certificate into the agent Keystore Service (KSS) key store. In the startAgent.sh file, check line 63 for the key store path, for example, Agent_Home/cert/keystore.jks. In this case, Agent_Home is /u02/app/OICS/Agent/cert/keystore.jks. Back up the key store. Download the Oracle Integration Cloud Service certificates to the host where the agent is running. Log in to the Oracle Integration Cloud Service. In a browser, click the secure link to the left of the HTTPS URL. Click Secure Connection > More Information > Security > View Certificate > Details. Click Export and save the file with a .crt extension and as a type X.509 Certificate with chain (PEM) (*.crt,*.pem). Download all three certificates (Root, Intermediate, and User Level, and move the downloaded certificates to /u02/app/OICS/Agent/agenthome/cert. The Oracle on-premises connectivity agent is a key component to integrate any on-premises database to the Oracle Cloud. 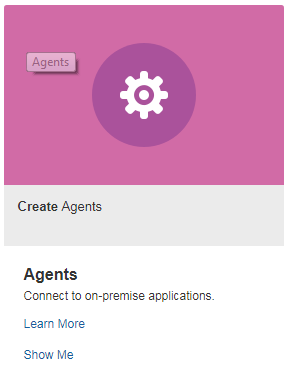 The latest version of Oracle connectivity agent is available and enables the agent to run in a high availability configuration. Learn more about our database services and Rackspace Application services.